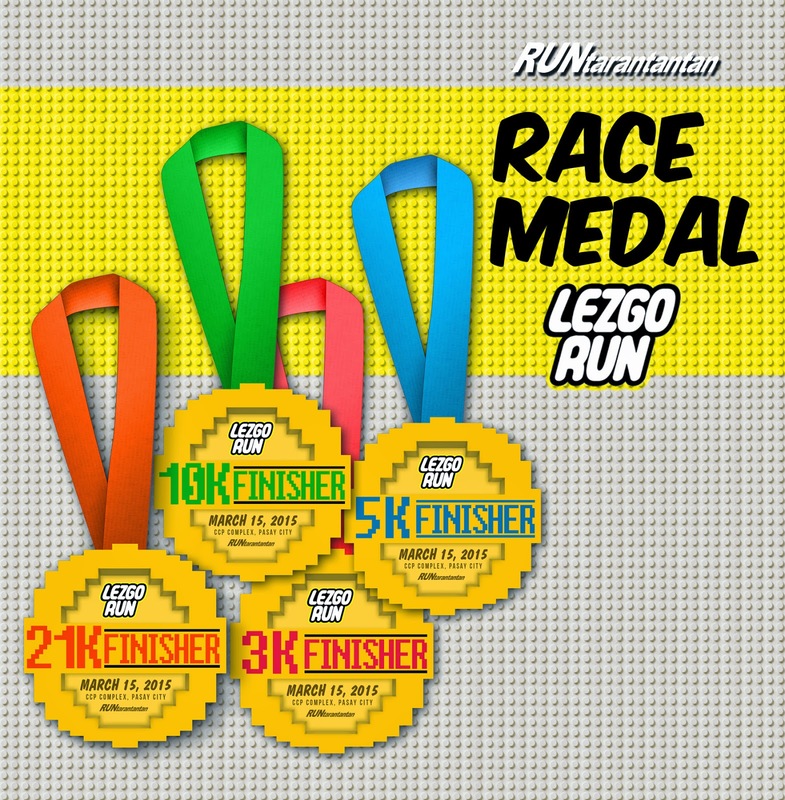 Runtarantantan holds its second run for the year - the Lezgo Run - which will be held at the CCP Complex area in Pasay City on March 15, 2015. Registration is on February 12 to March 8, Thursday to Sunday at 1-8pm only. 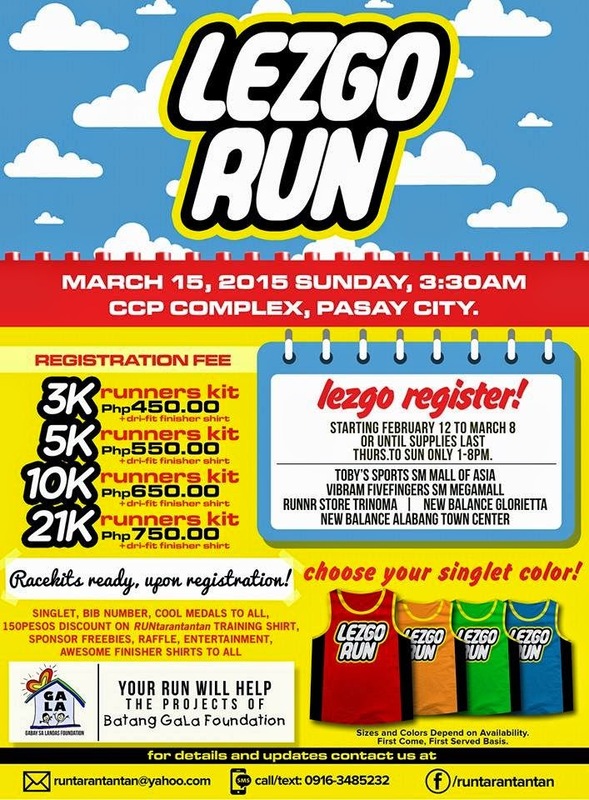 This event will support the projects of Batang Hala Foundation. 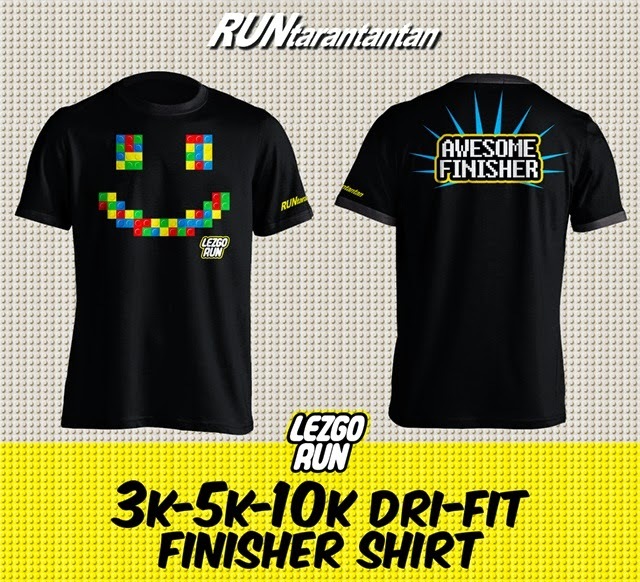 Four (4) distances are available: 3K, 5K, 10K & 21K. 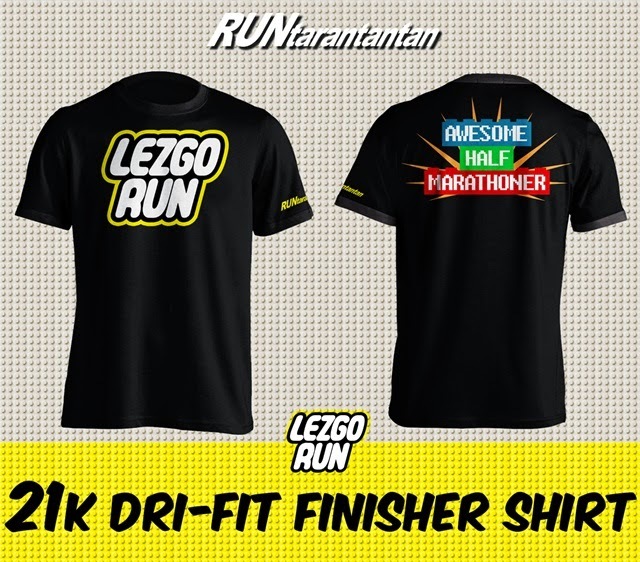 Everyone will receive a medal and a dri-fit finisher shirt upon finishing the race. For your singlet, you can choose among the 4 colors available: red, orange, green and blue.